Elma Water Technologies Canada – Next Filtration Technologies. Chemical Free, No Salt Softener Alternative. The Superior Water Softener Alternative. A recent development, Template Assisted Crystallization (TAC) has produced the first effective chemical-free scale prevention method. 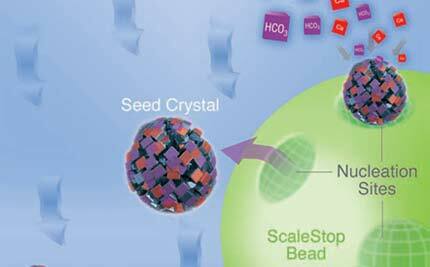 Based on TAC technology, nextScaleStop converts hardness minerals into harmless, inactive microscopic crystals. 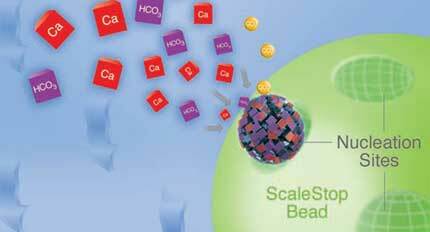 Tested by an independent laboratory against the international protocol for scale prevention, nextScaleStop achieved a 99.6‰ effectiveness rating – the only technology to do so and far more effective than any other water softener alternative. Proven in over 6 years of successful use in homes and businesses. Cleaner-whiter clothes, less soap usage. Once the crystals grow to a certain size they are released from the bead. The crystals in solution keep the hardness out of the water so that it can’t form scale or interfere with soap.